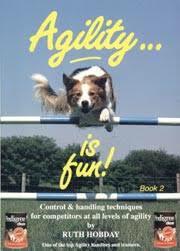 Ruth Hobday develops the introduction to the world of agility given in her first book, Agility is Fun. Book 2 is clearly illustrated with diagrams and photgraphs by Sandra Russell. In this exciting second book she shares more secrets of training and control and includes a great many exercises.